Fort Steele Heritage Town, Fort Steele, B.C. The past lives and breathes at Fort Steele Heritage Town. Perched on the western slopes of the Rocky Mountains since its gold rush beginnings in 1864, the village has gone from boomtown to regional centre to ghost town to one of the most important heritage attractions of its kind in British Columbia. Enjoy old-time farming demonstrations, ice-cream making, train rides and horse-drawn wagon tours. Try gold panning, watch live theatre performances and observe the museum displays. 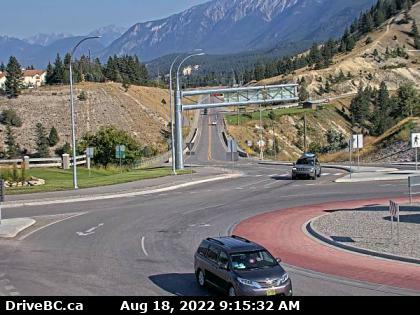 Or simply enjoy the view in a Kootenay Rockies setting. Over 60 heritage buildings have been restored and reconstructed since the site was designated a Provincial Heritage Site in 1961. You’ll be surprised at the hidden treasures you’ll find, telling visual stories of days gone by. In fact, you might even think that the 1890s residents had just stepped out to run a quick errand! Take the time to check out various sheds, outbuildings and open buildings around the site. At the Wasa Hotel Museum, you can see informative displays of the history and heritage of Fort Steele, the surrounding region, and the people who lived here. The Wasa Hotel Museum, which opened in 1967, is a replica of the Wasa Hotel which once stood in the community of Wasa, just north of Fort Steele.